Clifford Lee Allen, age 67 of Cadillac passed away on Friday, November 2, 2018 at Munson Healthcare Cadillac Hospital. Clifford was born on March 2, 1951 in Flint, Michigan to Daniel Allen and Betty Lou (Shepard) Allen. He married his wife Linda (Doyle) Allen, the love of his life for over 40 years, in Paris, Michigan on April 22, 1978. Clifford worked as an insurance inspector for many years and had retired 10 years ago. 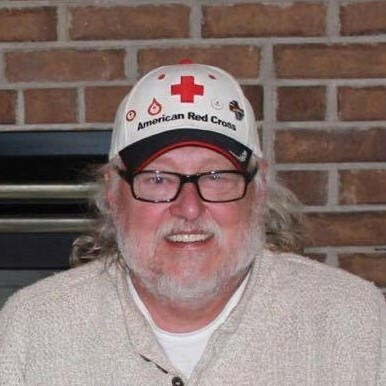 He enjoyed helping families in the surrounding counties find shelter, volunteering for the American Red Cross, served on the City of Cadillac zoning board of appeals for many years, when Clifford wasn’t volunteering his time he was spending it with his children and grandchildren “the prides of his life”, he also enjoyed spending time hunting and fishing. He leaves behind his wife; Linda Allen of Cadillac, his children; Joshua Allen of Grand Rapids, Stacey Allen of Cadillac, his grandchildren; Quinn Allen of Grand Rapids, Landon Allen of Grand Rapids, his mother; Betty Allen of Davison, siblings; Nadine (Robert) Thompson of Davison, his in-laws; Bill (Anita) Doyle of Bay City, Thomas (Ginny) Doyle of Lansing, Mark (Shelly) Doyle of Gypsum, Colorado, Nora (Joe) Murbach of Vail, Colorado, Pat Doyle and special friend Deb Orlee-Heffner of Bay City, and Paul Doyle and special friend Shannon Meredith of Colorado Springs, Colorado. He is preceded in death by his father; Daniel Allen, and a sister; Lucille Gillean.